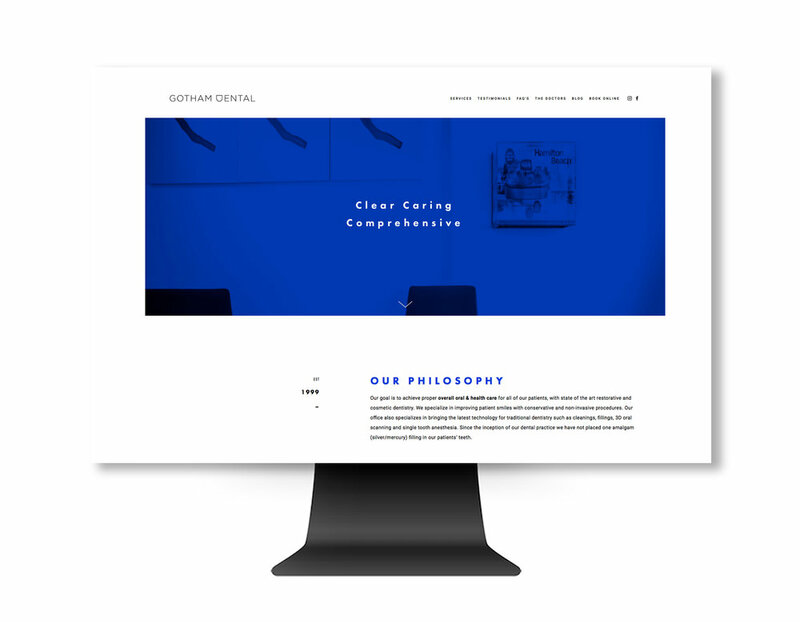 Established in 1999, Gotham Dental strives to achieve proper overall oral & health care for all of their patients, with state of the art restorative and cosmetic dentistry. Brand Identity, Iconography, Website Design, Photography capture & post production. Gotham specialize in improving patient smiles with conservative and non-invasive procedures. The office also focuses on bringing the latest technology for traditional dentistry such as cleanings, fillings, 3D oral scanning and single tooth anesthesia. A unique and timeless visual identity embracing a minimalist aesthetic was developed along with photography of the space, tools, and team was crucial in not only humanizing the brand - unlike most dental practices - but also highlighting the artistic sensibilities embraced by the founder, building on the experience of the office itself.